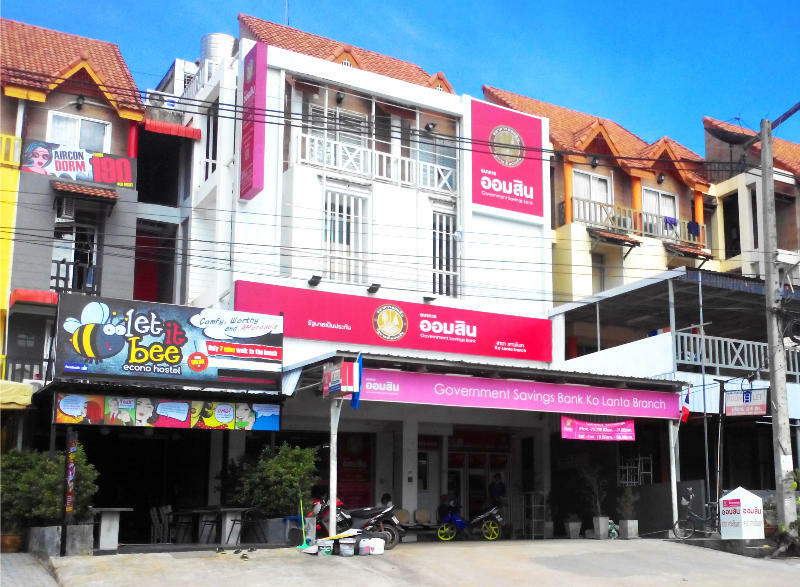 Let it Bee Econo Hostel' is one of the most affordable, clean and comfortable place to stay, located in Long Beach area( Phra-Ae Beach ) the famous beach in Koh Lanta it is 5-10 minute walk to long beach. The 'Let it Bee Econo Hostel' has different room type for you to choose from dorm and private room. It is a simple hostel, that provides friendly staff that backpackers will love. If you want to save money while enjoying your holiday here in Koh Lanta. Please note: All dorms & rooms with Air-condition, private electric socket, personal reading light, emergency light, fan. We are located in Phra-Ae area and it's around 5-7 minutes away from Saladan pier and the van station. If the guest will take tuk tuk, taxi or a van from krabi just tell to the driver the name of our hostel ' Let it Bee Hostel'. Since it is just new to all drivers and so they are not yet familiar with the place tell them to drop you at the OM-SIM BANK (Government Savings Bank) or the International Language School. We are just located beside these buildings. In case that the driver dropped you somewhere or just dropped you off at van station please call us and we will try our best to pick you up. we have a free transfer only for our guests from the pier & van station to our hostel but the guest must email us or let us know at least days before the arrival the information that we need. ( e.g. time, date and location). Please note: If the guest can't find our driver at the pick-up area and take a taxi or a tuk tuk instead the fare you paid to the driver can't be refunded. We are not responsible for any cost paid by the guest to the driver.